Summer is almost here! Will your Air Conditioning System be able to withstand the heat? Possibly the most obvious sign of a damaged air conditioner is if you get warm rather than cold air flow. Even if the air is cool, but not quite as cool as you recall it flowing from previous use, that could be a sign your A/C needs attendance. This is a serious sign that you need to get your vehicle looked at. For A/C to work, it also functions as a pseudo-humidifier, which is why you get that cool, crisp air flow when all is working as it should be. The humidifier portion has a pipe or drain tube that water can drip out of. If you have ever noticed water pooling under your car when it is parked and you had the A/C on, this is why. However, if you’re noticing any water pooling or staining the floor of your car in the front seats, this can indicate that you have a clog or leak causing the liquid to come into the cabin of the car rather than drip out. From tiny toys to twigs and dirt, all manner of foreign objects can find their way into your vehicle’s air vents and restrict air flow. These cause rattling, whistling, or other strange noises to come out of the vents. Unpleasant smells can also allude to ventilation problems. Mold, mildew, and allergens can collect in the vents as well, and have serious repercussions for your health if you’re breathing in gusts of mold every time you switch on the A/C! 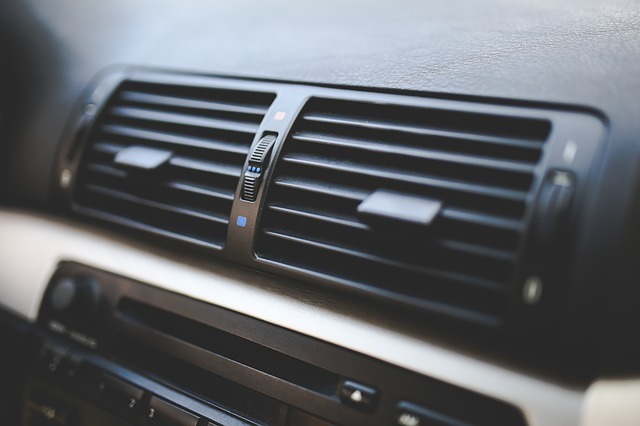 If you have noticed any disconcerting sounds or smells, be sure to bring your car into Gary’s Auto Service so we can take a look at that air conditioner and determine how best to reduce or eliminate the noise and return your A/C to peak efficiency. If you have been noticing any of these problems with your A/C, come into Gary's Auto Service soon so that your vehicle can beat the heat. Get back that cold, refreshing air that you need during the summer months. Our team will work diligently to repair your air conditioner quickly and correctly, the first time, so that you can return to your regularly scheduled summer fun!